Tour guide and driver pick-up at Da Nang Airport, drive to Hue city. Overnight in Hue city. Morning: After breakfast at hotel, pick up at your hotel 7:30am – 8:00am by bus visit: Minh Mạng Tomb, Khai Dinh Tomb, Traditional Martial Art Van An, Conical Hat and Incense Making Village and Tu Duc Tomb. Noon: Buffet lunch (50 traditional foods of Hue, Asia and Western foods).Not include drink. 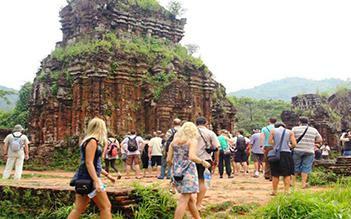 Afternoon: Continue by bus visit: The Citadel, Thien Mu Pagoda. Then get the boat for sight -seeing along the Perfume River to enjoy the sunset on the way back. Around 17:00 Back to hotel. -8:00am After breakfast, A/C Minivan pick up at hotel depart to Hoi An. -Stop on the way visit: Lang Co Beach, Fishing Village, Hai Van Pass and Stone Village. -Lunch served at local restaurant with Vietnamese foods. 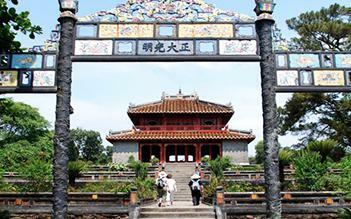 -Visit Cham Museum inside of My Son, enjoy Cham music show and My Son Ruined Temple. 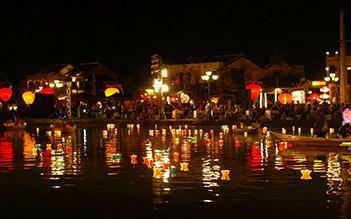 -Arrival in Hoi An, drop off at your hotel. 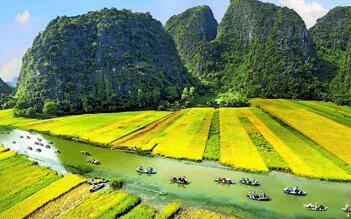 8:00am Discover the history and flavors of Vietnam during this walking and cooking tour of Hoi An. This is a place oozing with charm, and having largely escaped the destruction of successive wars, its streets and architecture are a delight to explore. After being picked up, head straight for the Old Town ready to hit its ancient streets. 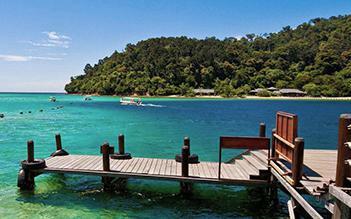 At the end of the walking tour, head to a famous Lantern Town restaurant for a cooking class. The chef will run through the range of delicious dishes that you will recreate and then it’s time to hit the local market to stock up on all the fresh produce needed to create the feast. Learn how to choose the best supplies, and discover some of the less-familiar ingredients, then head back to the restaurant ready to cook. Pick up recipes to wow your family and friends with and discover the tricks to making some of the legendary Vietnamese dishes at home. The tour ends as you sit down to feast on all the delicious dishes you’ve created. 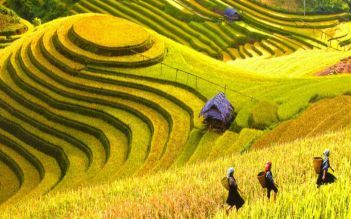 Have breakfast and free time in Hoi An then our tour guide and driver transfer you to Da Nang airport for the next flight. I found this tour on Trip Advisor. No regrets. I contacted staff of travel supplier who was prompt & diligent in his replies. We arranged a private tour for 6, including my 85 y.o. Mum. Our young English-speaking guide was amazing. We brought a wheelchair for Mum. The guide was courteous, very helpful and always ensured the well-being of my Mum and us were taken care of. We requested local meals and enjoyed all our experiences at local noodle shops and small restaurants. The daily Vietnamese coffee at local coffee outlets was one of our highlights. We were able to visit the UNESCO listed sites at our slower pace to accomodate Mum. Both Driver and our Guide were gracious, understanding and patient. Guide always helped us navigate challenging paths with the wheelchair. We were concerned about getting on-board and exiting the cable cars at Bana Hills with a wheelchair but our guide was able to enlist the help of the staff of the Operator. All were caring and helpful. We had a memorable 6D trip and Mum had the opportunity to enjoy family time with us as well as the wonderful mountain panoramas, temples, historical site My Son, variety of Vietnamese cuisine. I would recommend this company for a private tour of this area. I just finished a 5d4n tour with a fantastic tour guide and now am waiting in the airport for my flight home. 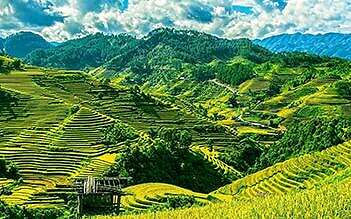 I would like take this chance to say our guide is an excellent tour guide for being very caring, flexible, cheerful, polite, punctual, informative and energetic with reasonable price. He had given a lot of valuable advices and planned for us a great itinerary which suits me and my 62 year old mum very much. All the arrangements of meals were nice, I had the chance to see the local life and enjoyed wonderful food in nice restaurants and coffee shops. My mum and I had a great time. We had chances to share a lot during our tour. In 5 days, I had the chance to understand different aspects of the country from him. 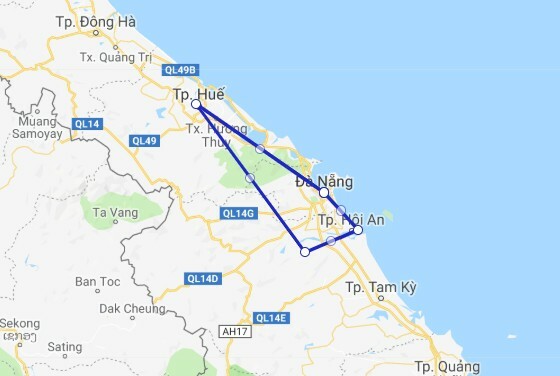 If you go to danang, I would absolutely recommend this tour to you.